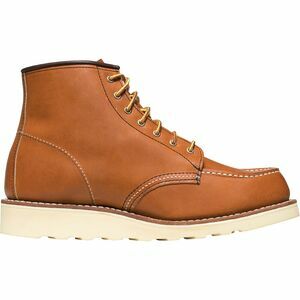 Since 1905, Red Wing Shoe Company has been making purpose-built work footwear. The skilled employees in our two U.S. factories build over 1.2 million pairs of shoes annually. Watch the video to see how their sense of pride and skill make the tools that support today's skilled craftsmen. In 1905 in a small Minnesota town called Red Wing, people went to a shop run by Charles Beckman when they needed a new pair of shoes. 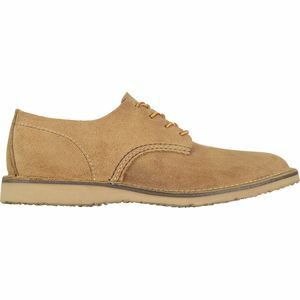 Around town, he was known as “Beckman the Shoe Man.” Walking the muddy streets to and from his Main Street shop each day, he recognized a need for durable and comfortable boots that he could polish upon arriving at the store. When he couldn’t find a pair of boots that satisfied this need, he did what any enterprising American would do: he started his own company—the company we know today as Red Wing Shoes. From the beginning, quality was a central tenant at Red Wing. As Beckman put it, the company needed to make “truly good shoes.” In the same way that Beckman’s personal needs inspired the first pair of Red Wing boots, the needs of working Americans would dictate every model that followed. Work boots were designed specifically for oil field workers, iron miners, farmers, blacksmiths, ice cutters, mail carriers, soldiers, and engineers; the line even included oxfords for office workers. 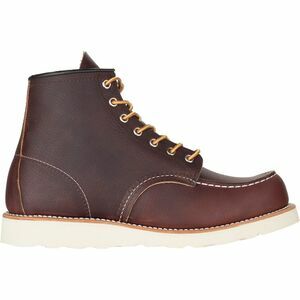 Along the way, a number of innovations can be attributed to Red Wing, including the use of rubber soles on boots in the 1930s, and the development a line of hiking-specific footwear, called Vasque, in the 1960s. 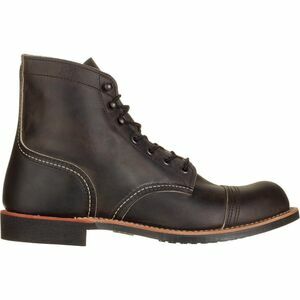 Today, Red Wing Heritage boots and shoes are made by the 4th generation of Red Wing craftsmen in Minnesota. The process of making a Red Wing Heritage boot has remained largely unchanged since 1905, and many of the craftsmen have been working their jobs on the factory floor for decades—preserving a craft that has been largely lost in modern America. 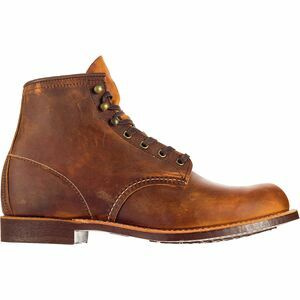 A Red Wing Heritage boot starts with the finest quality American leather from the S.B. Foot Tanning Company, located just a mile down the road from the shoe factory in Red Wing, Minnesota. 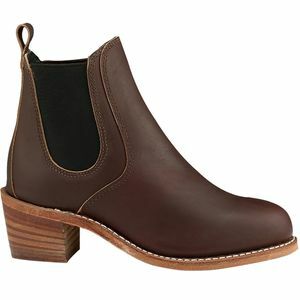 Experienced cutters evaluate and rate each hide, selecting specific areas of the hide that are best suited to each piece of the boot, and then cut them using dies that have been in service for decades.The boot uppers are triple-stitched with Puritan sewing machines, which melt wax into the thread for greater water resistance. Many of the Puritan machines used in the Red Wing factory today have been there since the 1920s and have stitched millions of boots. After stitching, the boot upper is pulled over a last to give the boot its final shape and form, and the upper and the leather insole are sewn together using the traditional Goodyear welt construction process that was patented in 1869. 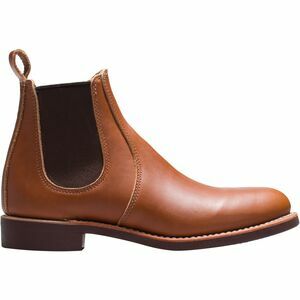 Finally, the appropriate sole is stitched or glued to the midsole, but before the boots are packed and shipped, a team of expert finishers clean, brush, polish, and inspect each boot twice. A pair of Red Wing Heritage boots is more than just another pair of shoes. It’s an investment in American craft and provides a connection to the generations of American workers who labored to build this country through the course of the 20th century. A Red Wing Heritage boot is an enduring symbol of quality, integrity, and hard work.